There’s Only One ‘F’ in Felipe. Hammers Go West For The Quadruple. 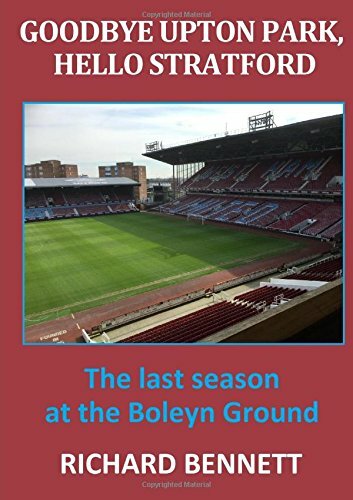 Can West Ham’s cottage industry secure a fourth straight Premier League win or do the sequence omens foretell a high scoring draw? To kick-off this week’s match preview I will set you a simple puzzle. What is the next score in the following sequence: 3-0, 3-1, 3-2,……..? If you are among the 100% that can spot the answer, then you would probably be disappointed should West Ham came away from today’s game against the craven cottagers with only a share of the spoils. A three game winning run builds confidence and expectations and, although we know it has to end somewhere, surely it is not going to be today against the leagues, bottom dwelling hosts. Leaving aside the comparative form of the two clubs, this is traditionally the most profitable of regular London derbies. Already the league has effectively split into three groups with a top five, bottom seven and middle eight (which lends a rather musical feel to it all). The Hammers sit comfortably in the middle eight – the inconsequential piece in the middle that serves to fill the void between the repetition at the top and the fade out at the end. Still, an outside run at a European place does remain a possibility if the team can continue to demonstrate an engaging freedom of movement in attack. Fulham, on the other hand, are rock bottom of a very desperate bunch. There may be only one ‘F’ in Fulham and right now it is decidedly looking like the past participle (f*cked!). New manager Claudio Ranieri might be able to dine out for the rest of his days on taking Leicester City to the Premier League title, but his current task, based on what has gone before, may require an even greater miracle. The possible silver lining in a very dark sky for the Cottagers is that they have scored more goals than any other side in the bottom seven – but then again, they have conceded many more, and by some margin. Surely, the rip roaring, free scoring Hammers will have a field day against this frighteningly, flimsy Fulham backline! The only debate about the West Ham starting eleven centres on whether Aaron Cresswell replaces Arthur Masuaku at left back and who starts up front alongside Javier Hernandez. Any other change to shape and personnel would be a huge surprise. In an ideal world the team wouldn’t concede quite as many goals but that is a difficult issue to address with current squad members and without reducing the attacking threat (and arguably the entertainment value). The success in recent weeks, although a team effort, has been inspired by the mercurial talent of Felipe Anderson and the energy of Robert Snodgrass. Anderson is now the club’s leading scorer and has attracted wide media attention, including the jackals who believe he is far too good to be plying his trade (or wasting his time in the view of some commentators) at the London Stadium. Snoddy has been the surprise of the season and much of the credit, in addition to his own immense attitude, has to go to Manuel Pellegrini and his coaching team. I discovered by chance that ‘snod’ is a an old Scottish word meaning neat, trim and orderly which would make a Snodgrass someone who prefers a well-tended front lawn. Pellegrini’s striking dilemma is who out of Lucas Perez, Andy Carroll or Michail Antonio will partner Chicharito from the start? I really don’t see a Hernandez/ Perez offering enough off the ball in terms of mobility and power; while Carroll still resembles Mr Rusty and Antonio has the power but lacks the control. All things considered I would opt for Carroll even in the knowledge that he may not last, stamina wise, for more than a half – he could well cause major chaos for the Fulham defence. Big Andy was complaining in the week that he was tired of all the ‘old crock’ jokes and maybe he now has a chance to prove the doubters wrong by taking better care of himself. My worry is that his style of play will always make him susceptible to knee and ankle impact injuries. The Fulham side doesn’t look so bad on paper, particularly in attacking areas. I am not a particular fan of Mitrovic who seems little more than a battering ram but he does have seven goals to his name in a struggling team this season. The ‘S’ men in midfield of Seri, Sessegnon and Schurrle would be potentially good players in the right set up although I am not convinced by Chambers in midfield – he is no Declan Rice. One happy piece of news is that West Ham didn’t pursue their reported interest in Mawson (there were repeated links during the summer) who I think is a poor defender at this level – the modern day Roger The Relegator who is firmly on course for a second successive relegation. We’ve got a Friend refereeing the game today as Kevin from Leicestershire takes charge of his second Hammers game of the season – the first being the disappointing defeat at Brighton in October. Friend is averaging four yellow cards a game over seventeen matches but his only red of the season was the dismissal of Shane Duffy two weeks ago.